While you are reading this article Italy should already have a new Government, approved by the two Houses of the Italian Parliament with two different votes of confidence. For the two parties, Lega and 5 Star Movement, of this coalition migration has always been a key issue. In the past Lega, when it was more focused on the North of the Country (its name was still Lega Nord) claimed a lot against migrants, especially towards rom, although they are not exactly migrants but nomads, and also a lot against migrants from Western Balkans and Eastern Europe. Just in the past years, to get consensus across the whole Country the begin to spoke increasingly about migrants coming from the Southern side of the Mediterranean Sea. As we saw few time ago here since the past two year there was a lit and furious querelle about migrants, NGOs, and the welcome refugees system. After three months since the general elections, an agreement to govern between these two parties, Lega and 5 stelle was (o have been?) reached: they did a contract (many words were spoken about it, also if it is legally valid or not) where they show the way the new Government will (should?) follow. One of the point of this contract, n. 13, is focused about migration. There are also some good and feasible provisions: the need of more transparency about how funds for the welcome refugees system are managed and the obligation to publish the financial statements of the managers of welcome centers to ensure timely checks on the reporting of services and of the goods supplied, the costs incurred and the results achieved. Other provisions are a bit more hard to put in place: indeed demanding that the evaluation of the admissibility of applications for international protection must take place in the countries of origin or transit, with support European Agencies, in structures that guarantee full protection of human rights needs an agreement with countries like Libya, asking them if they could built new and working structures. Currently in Libya the state it’s not exactly as Lega and 5 Star Movement hope it should be. And it works in this way also thanks to an agreement signed by the previous Minister of the Interior to which Lega and 5 Stars Movement have welcomed. Is it the so called populism? Moreover in the contract is written that it is necessary adopt an ad hoc legislation providing for the establishment of a register ministers of worship and traceability of funding for construction mosques and, in general, places of worship, even if differently called. Furthermore, appropriate tools must be available to allow control and the immediate closure of all radical Islamic associations as well as mosques and places of worship, however named, which they are irregular. Only Islam is expressly mentioned. A real need or Islamophobia? To this we have to add the public releases of Salvini as Minister in this days: he broke we a Major of small town in the South of Italy (Riace) insulting him. And many ones, also Pope Francis among them, has publicly lauded its welcome refugee system. Moreover he said that “Tunisia is a free and democratic country that is not exporting gentlemen but often and willingly exports convicts” and the day after the Italian ambassador in Tunis was summoned by the Tunisian government to express him its deep daze. 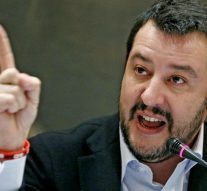 Last but not least, Salvini declared that “the Italian Government, next Tuesday at the Luxembourg summit, will say no to the reform of the Dublin regulation and new asylum policies”, claiming, in no uncertain terms, against France and Germany guilty of leaving Italy alone facing the migration crisis.Say now what Lega and 5 Star Movement really will be able to accomplish is still early. But it is very likely that what they will do (and will not), they will do it aloud. Next Article » Italy: an EU Founding Member at a Crossroad?